On any given day, how many times do you think you check your phone? The answer is probably a lot! In fact, research has shown that Americans check their phones on average once every 12 minutes. Imagine that you could harness the energy that everyone in your community expends checking their phones every day and direct it in a way that benefits your nonprofit’s fundraising goals! Text-to-give, text-to-donate, or text-to-tithe are all names for the fundraising strategy through which your donors are encouraged to give through their phones’ native text messaging app. This tactic makes it easy for donors to give whenever they like, from wherever they are. Even though this giving method makes it easier than ever for donors to show their support, your nonprofit still has to work to encourage their supporters to give. If donors are not aware that this is an option, and if they don’t feel secure giving in this way, this strategy will not yield results. So what are some proven ways to maximize your nonprofit text-to-give strategy to drive donations? Merge your online and offline marketing. Advertise your recurring gifts option. Encourage text-to-give donations during events. When you mix and match these different approaches with the convenience of text-to-give donations, you’ll be sure to find fundraising success. If you’re ready to learn more, let’s get started! 1. Explain the process clearly to your donors. If your community doesn’t understand how the text-to-give process works when asking for donations, they’ll just write it off and ignore your careful communication strategy. Worse, they might feel like they’re being left behind in your nonprofit’s fundraising strategy! This is bad for your donor retention rates, as well as your organization’s sense of community. To prevent this from happening, you should clearly explain what text-to-give is and how it works. First, your supporters text their desired donation amount to a unique number assigned to your nonprofit by your text-to-give software provider. For example, if they wanted to donate $25, all they have to do is text “25” to your number! Your software will immediately send them a confirmation text containing a link. The donor taps on the link. Then the donor either sends the email or fills out the form, and they’re done! After their first donation, donors can just text the number, tap the link, and send the email to show their support! Once your donors understand how simple it is, they’ll be more willing to use this method to complete their donations. For a deeper dive into exactly what mobile fundraising in general is all about, get a crash course in the basics with this mobile giving guide from Snowball Fundraising. 2. Merge your online and offline marketing. Now that your community of supporters knows how easy and fun it can be to complete text-to-give donations, it’s time to start leveraging it as part of your digital storytelling and marketing campaigns. To achieve maximum awareness, use both your online and offline strategies to market this avenue to your donors. It may seem counter-intuitive to use offline marketing for an online giving strategy, but the ubiquity of smartphones will convince your donors to give when they can! Include your text-to-give number in email updates, your monthly newsletters, and other calls to action. More and more people access their emails primarily through their phones, so marketing a way to give quickly from the platform they’re already using will pay off for your nonprofit. Print your text-to-give number in a large and bold style on your direct mailings and on any published informational material. Your donors will probably have their phones on them when they open your letters or see your flyers, and it’ll be easy for them to donate while you’re on their minds! No matter if you’re interacting with donors on social media or at your most recent fun run, remind them of your text-to-give number and encourage them to give to your organization. The convenience of text-to-give can’t be beat. Reminding your donors of the different online donation platforms your organization offers through your in-person, printed, and online marketing strategies will seriously increase the success of your fundraising campaigns! 3. Advertise your recurring gifts option. Make sure to choose a text-to-give software provider that enables your organization to encourage donors to sign up for recurring donations during the donation process. Recurring gifts, while providing a smaller up-front donation, tend to provide nonprofits with more financial support over time than a one-time donation does. For example, someone might be ready to give $100 at once, but someone else is more comfortable giving $10, once a month. $100 is a larger upfront gift, but by the end of the year the recurring $10 has turned into $120! That’s the magic of recurring gifts. When you remind donors that they can set up recurring gifts through text-to-give, they’ll do it happily. Text-to-give is super easy, and recurring gifts allow donors to show their support year-round without having to remember to do it! To maximize this strategy, pair a recurring amount with a specific outcome for your organization so that donors are more likely to give. A recurring gift of $10 a month can feed a child at school all year long. With a recurring gift of $15 a month, a supporter can pay for the neuter/spay procedure for X amount of animals a month/a year. A family can receive clean water for a year if you give just $5 a month for X months. Combining your text-to-give strategy with your recurring gifts strategy is a surefire way to make sure that your nonprofit wins, all year long. 4. Host a Giving Day. The success of #GivingTuesday has given nonprofits everywhere the fantastic idea of hosting their own Giving Days. Now, you can combine the best of both worlds: the excitement and urgency of a 24-hour fundraising campaign, and the convenience of text-to-give! To pull this off, you have to begin advertising for your Giving Day far in advance. Let everyone know the why, when, and how of your campaign. Why did you choose this day? Why are you raising money? When are you fundraising? What day, and from when to when? How are you collecting donations? How does text-to-give work? On your Giving Day, set a goal, and then encourage your donors to give, give, give! Accept donations through all avenues, of course, but make sure everyone knows how quick and easy it is to give through text-to-give. Are you having trouble thinking of the best way to make the ask? Get a quick refresher course from this resource about asking for donations from Double the Donation before sending out your emails. Keep track of your progress through a fundraising thermometer, and offer badges or keep a leader board to inspire a little healthy competition in your community. As a bonus, pick a day that holds a lot of meaning for your organization or your community. When was your organization founded? When is your founder’s birthday? Picking a day that means something to your community is a great way to get donors in the spirit of giving. 5. Encourage text-to-give donations during events. Fundraising events are an important part of a lot of organizations’ fundraising season: they’re a stellar way to get to know your community, offer a way to have fun with people holding similar values, and raise money for a good cause! But nonprofit events come with their own bundle of issues: it can be hard to manage registration and payments, donors want to give but don’t want to stand in line at kiosks or have to carry a checkbook around, and sometimes people are so busy having fun that they don’t remember to donate until after they leave! Text-to-give can solve at least one of these problems. By offering text-to-give solutions, you can encourage donors to support your mission by donating right from their phones, which they would carry around anyway! Post big, readable signs in your venue suggesting multiple ways to give. Make sure to put your text-to-give number on the poster! During your (or your guest of honor’s) speech, remind donors that you can’t do what you do without them, and encourage them to pull out their phones and donate right then. Send everyone home with little swag bags, and include a card with text-to-give instructions in the bag. With the excitement that fundraising events bring, you can easily encourage donors to convert that enthusiasm into fundraising results. Text-to-give provides a seamless method for donors to give to your organization, without missing out on any fun at your event. Donors are the fuel that keeps the nonprofit world spinning, so make sure you’re treating yours like royalty! Thanks to how text-to-give programs are able to integrate with other software solutions, once a donor gives to your organization, you have their contact information safely stored in your nonprofit CRM! Leverage this information to start or strengthen a relationship. If someone has never given before, include some introductory information as well as other ways to get involved with your nonprofit in your thank-you note or email. They’ll appreciate your efforts to get them more engaged in your work! If a previous donor gives again through text-to-give, make sure you acknowledge their history with your organization in your email. Reminding them that their efforts are memorable and important to your organization is an important part of strengthening your relationships. And while everyone loves receiving personalized thank-yous, sometimes a public gesture is also appropriate. Include donors’ names in your nonprofit annual report or monthly newsletter. Create a wall of donors’ names to hang in a place of pride in your office. 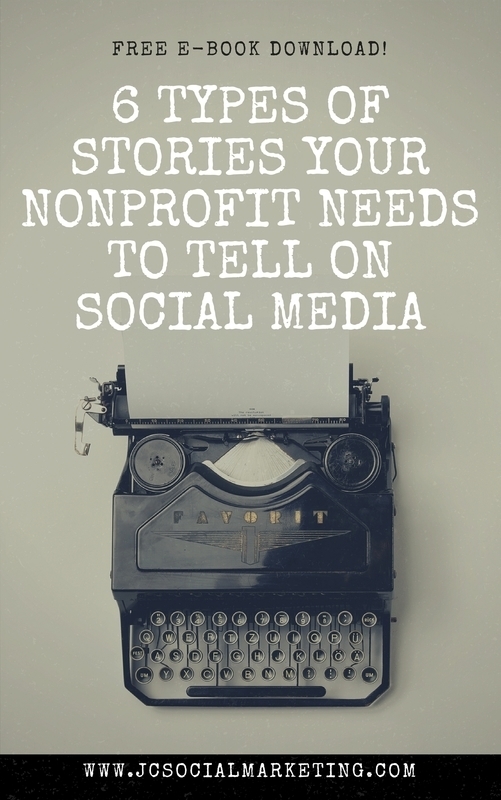 Give shout outs to donors on social media. Creating a culture of gratitude at your nonprofit is a surefire way to create a sustainable donation ecosystem. Text-to-give software is a great solution for your nonprofit to invest in. Donors young and old, millennials and Boomers, will love the convenience, and your organization will benefit from this new way to receive donations! About the author: John Killoran is CEO of Snowball, an exciting new fundraising technology that makes it easy for people to donate in two clicks from text, email, web and social media sites. John pioneered SMTP payments and has been a major innovator in the mobile payments space for the past 5 years. When he is not running a company, he is cooking food for his family and telling his dogs to stop barking.